For some people, osteoporosis can be arrested at an early stage, before it causes too much damage. However, there are many cases of osteoporosis that develops to the point it becomes severe. If you have severe osteoporosis, it is important to know more about the disease and what you can expect. Osteoporosis is diagnosed by a bone density scan, and the same is true of severe osteoporosis. However, there is no difference between the results of a bone density scan for normal and severe osteoporosis. 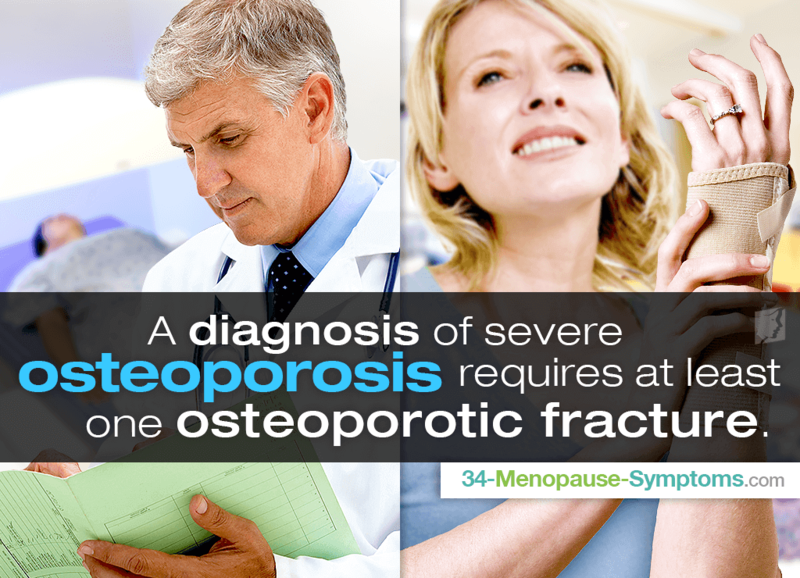 The only difference is that a diagnosis of severe osteoporosis requires at least one osteoporotic fracture. In other words, to have severe osteoporosis, you must have experienced at least one bone fracture due to the lowering density of your bones. These symptoms are the same as symptoms of normal osteoporosis, but will become much more pronounced as the osteoporosis becomes more severe. Bone fractures in particular are a sign of severe osteoporosis. Often, the best treatment for severe osteoporosis combines medications with lifestyle changes. These can be ways to improve bone strength, reduce bone loss, or even just preventative measures to avoid bone fractures. There are a number of available medications that can help treat severe osteoporosis. The most commonly prescribed medications are bisphosphonates, which are medications that help to slow down the rate of bone loss in the body. However, for the most serious cases of osteoporosis, it is more likely to be prescribed a more powerful medication, including the possibility of taking a medication that can actually help the body build more bone. Some changes can also be made to try to prevent falls. These include using a cane if you are unsteady, wearing sturdy and steady shoes, and removing obstacles in the house like throw rugs or other objects that may cause trips and falls. Unfortunately, there is no cure for osteoporosis. This means that once you develop the disease, you will have to manage it for the rest of your life. However, due to the many medical advancements in understanding the disease and discovering medications and treatments, there are many ways to slow or even stop the progress of the disease. Severe osteoporosis is a lifelong condition, but it can be managed with the proper knowledge and the right medication. To learn more about treating osteoporosis, read about common medications for osteoporosis. Osteoporosis literally means thinning of bones and can result in bones become thin, brittle, and easily broken. Osteoporosis is a decrease in bone density that causes fragile bones. This bone disease is most often associated with postmenopausal women.